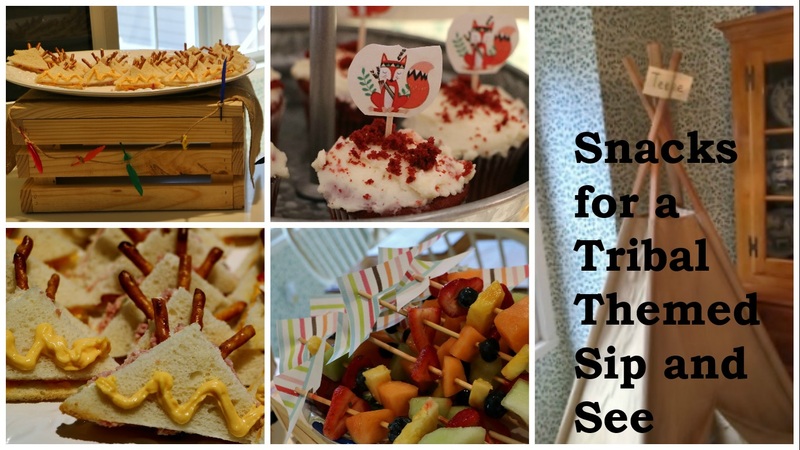 Last week I had the joy of co-hosting my first ever "Sip and See" party. Apparently this is a southern tradition that has become increasingly popular in other parts of the country. It's actually a way to share the joy of a new baby's arrival by having a bunch of friends and family gather together to view the little one. I gather that it's not usually a shower, although it could be if the guests had not attended one before the baby was born. Of course any party has to include some yummy snacks! Since the guest of honor has a tribal themed nursery, we incorporated that idea into the decor and the food served. Pinterest gave us the idea of the skewered fruit arrows. 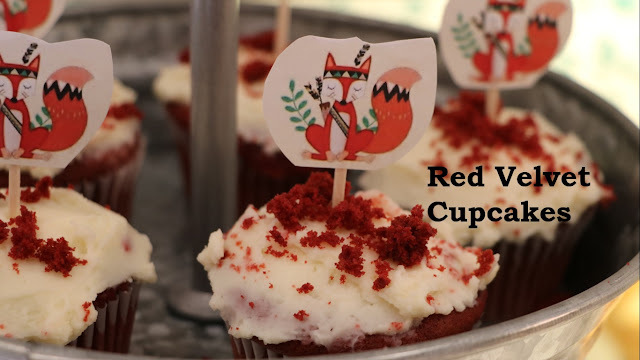 I found a cute little tribal raccoon on an invitation and printed the image off to tape on small wooden sticks which I then stuck in the cupcakes. I made the tepee sandwiches from thin Pepperidge bread, pretzel sticks, and canned aerosol cheese. I just cut the crusts off and cut the sandwiches on the diagonal. 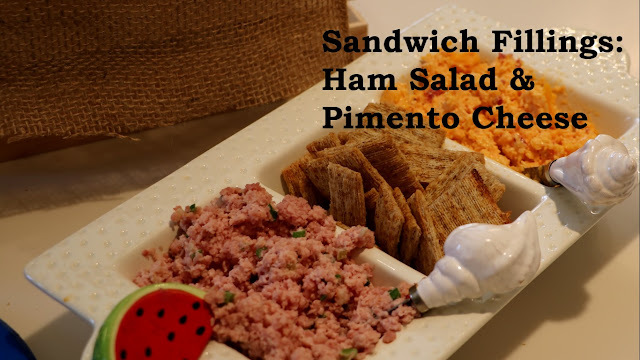 Because the filling couldn't be too thick, I opted for homemade ham salad and (a nod to the south) pimento cheese. Using a food processor, "grind" the ham cubes until they resemble coarse sand. Rinse the green onion, cut the roots off the bottom, and thinly slice. Mix the ground ham, mayonnaise, pickle relish and onion with a spoon until well combined. Preheat oven to 350 degrees. Use an electric mixer for two minutes to combine the cupcake ingredients. Put about 1/4 cup of the batter into each cupcake liner. Bake for 20 minutes. An inserted toothpick should come out clean. Allow to cool before frosting. To make the frosting, use the electric mixer to whip all the frosting ingredients together until fluffy. I was under time pressure when I iced the cupcakes, and the frosting started to get all "crumby". To save the situation, I crumbled a cupcake up and scattered the cake bits over the frosted ones. It camouflaged the disaster! For variations on this cupcake recipe, enjoy my Cupcake Celebration post!